Slings were a weapon of war once upon a time, so find somewhere secluded. You can hurt someone, including yourself. It's okay to not use stones, tennis balls and just about anything not flaming are perfectly acceptable. It is even recommended that beginners use "safe" ammo like tennis balls. Slings are usually measured in centimeters or inches, while folded in half. Shorter slings are usually more accurate and longer slings usually throw farther. Slinging is a very individual sport and everyone has a preferred method of cast. Try them all to find which ways you like, but remember that the best way to sling is the way that is most comfortable to you. Preferred sling length also varies from user to user, but a common starting length is 1/2 of the slinger's height. Many slingers find that putting all of their strength into a throw does not increase distance or power but does decrease accuracy, so relax. 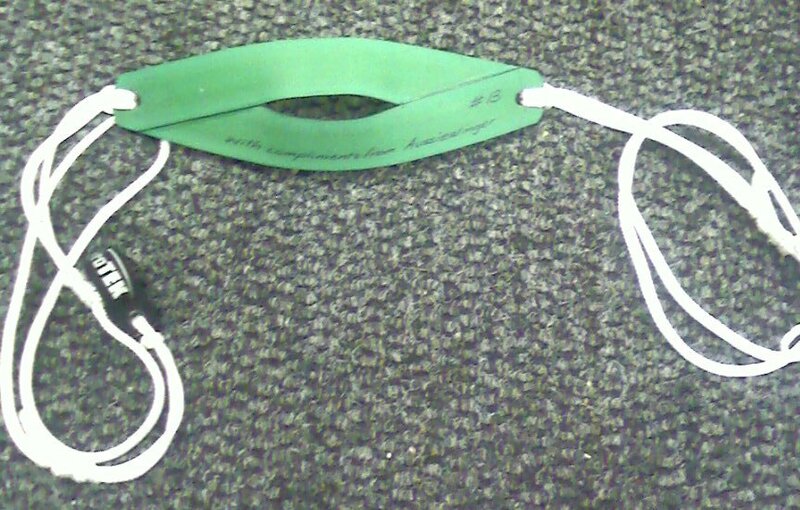 Weights on the end of the release cord are a bad idea because you can whip yourself with the weight. Wooden beads are fine, though. Stretch or warm-up before slinging, just like any other sport it can cause joint problems if you aren't limber enough. Use a backstop to catch your projectile. It makes retrieval easier and keeps you from hurting bystanders. 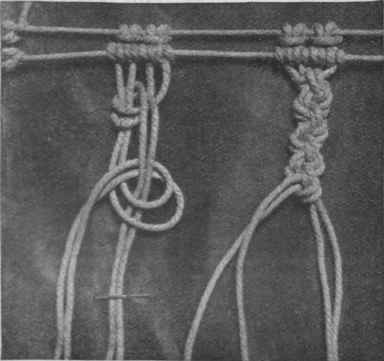 A knot is usually placed on the end of the release cord to hold on to, but is not necessary. It may be left out or a flat, wide tab may be used instead. Some slings need a knot to prevent unraveling, however. Some slingers have noticed that having 4 inches (10.5 cm) or more extra material after the release knot, or whatever is used as a grip, may slap your hand during a throw, which will hurt and leave a red mark. When making a sling always use more cord than you think you will need. You can cut off the excess, but you can't braid with cord that isn't there. If at all possible find a spot with plenty of space to practice. Balls and other ammo can travel far, and often go over fences and the like. It isn't necessary to sling with full force. Accuracy is easier to achieve when you hold back, and you will be less likely to injure yourself. Sling casts should be smooth. A choppy cast can cause the sling to go slack and drop the projectile early and unpredictably. 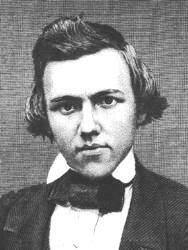 Any kernels of knowledge I missed? Thank go out to Aussie, LukeWebb, Rat Man, Cthulhu, walter, SlingKey, timann, Cervantes, biface.silex, wolf197, Grayorchid, Bill Skinner, sv, mymothersmeatloaf, Knaight, jlasud, Jaegoor, and Morphy for contributing to this thread. Massi - WTF? It's called a sling. You use it to throw rocks farther and faster than you could otherwise. That's all. A weave- two groups of of thread laced together without knotting to make a flat cloth. A braid- more than two groups of thread laced together without knotting to make a cord. 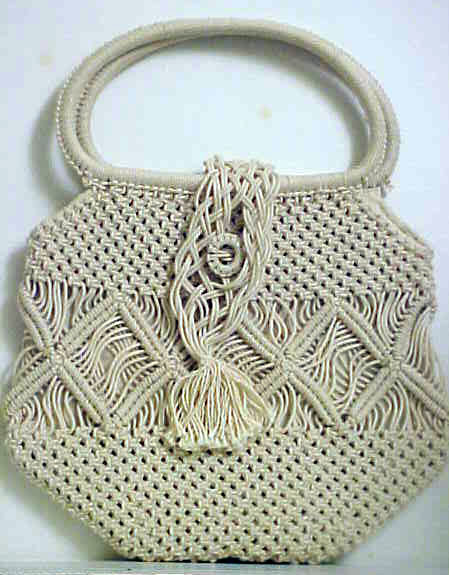 Macramé- makes both flat cloth and cords using knots. pouch- the part of the sling which holds the projectile. Split pouch- a pouch of two parallel straps, often crossed over each other. Split may be used in conjunction with any other term for the pouch. Solid Pouch- a pouch made of a singe wide piece of material. Can be cupped or flat. Solid may be used in conjunction with any other term for the pouch. release cord- the part of the sling let go of when slinging. Loop- the part of the sling attached to the slinger. Usually for the finger, may also be made large enough for the wrist. retention cord- the part of the sling attached to the slinger in some way. Usually with a finger loop. conical bi-point- a specific shape of projectile. Resembles an American football. Toggle- a flexible strap wrapped around the hand in place of a loop. May also be a handle on the retention cord of the sling for the same purpose. Sheepshank- a specific kind of knot. Special thanks to Aussie and Et Cetera for suggesting a glossary and LukeWebb for suggesting I post some definitions as well as the differences between various knots and braids. Pull or Pull Point - Describes the idea that within a sling throw's rotation there is a perfect point at which you pull into the pitch where you will achieve the highest efficiency and best control. This perfect point is based on basic geometric principles dictating how levers work. My guess is that the pull is when the slinger's arm and the sling form a right angle which should happen as far back towards the beginning of the pitch to offer you the longest powerstroke possible. This is just a crude theory, but the idea of the pull point itself I believe to be correct. Lag or Pouch Lag - This is one that I would hear Aussie mention from time to time. The idea is that the sling is a lever and a lever exerts more or less efficient pull on the object being moved based on the angle at the fulcrum. How far the pouch lags behind, then, is crucial to good power and control. Power stroke - The length of the pitch. The longer the power stroke the less quickly your acceleration has to increase over any one part of the pitch. This can equate to better control and obviously, better power, so long as other parts of your technique are fine. Aiming Point The very last portion of the pitch is where most of the fine tuning of the aiming is done. This is the aiming point. It is beneficial to have a long enough power stroke that by the time you hit the aiming point you are already at or near maximum acceleration. This lets you focus that entire point of the throw on finessing your aim. Palm Position - The position of your palm during the throw largely dictates the type of spin you put on the projectile. In my experience the palm should face towards the direction that your arm and hand are moving. If anyone else has a different view on this, please feel free to post it. For now though, this has served me well in the throws I use. If you are having problems with spin try throwing slowly and pay close attention to where your palm is facing. Additionally, trick shots can be performed by changing your palm position which will cause the shot to veer off in the direction corresponding to your palm. Over Rotation/ Under rotation - Under rotation happens when you pull too early into the throw. Over rotation is when you pull too late. In the latter, you generally feel like you have to rush the last part of the throw to get back ahead of the pouch. Both of these concepts are typically caused by improper technique and to a lesser extent, a constantly changing projectile weight. Over grip/ Under grip - Over grip is sometimes caused by improperly using release knots. When your fingers curl under the underside of the knot (the part facing the sling pouch) it can delay the clean release by a small fraction of a second. Which corresponds to big misses at longer ranges/small targets. Over grip can also be caused by a release cord or tab that becomes wet. As well as curling your non-retention fingers around the release cord as it extends into your hand. Under grip is caused by a release mechanism that doesn't provide enough grip to easily control the release cord. Under grip can be caused by gripping a release cord that is too slick and/or thin in diameter. As well as ammo that is too heavy for the slings design. Efficiency - Efficiency has to do with the amount of effort you put into the throw versus the amount of power you get out of it. Efficiency is important for all types of slinging, not just distances throws. A very efficient accuracy slinger can decrease considerably the amount of effort in his/her throw while still maintaining relatively good power. Less effort means more control which can equate to significantly better accuracy and consistency, less mental fatigue and more focus while still maintaining a relatively flat trajectory. Efficiency is largely a matter of good technique and a sling that is designed for your preferred style and ammo weight. A good way to gain efficiency is to throw at 50% effort for an extended period of time, and try to gain distance while maintaining this decreased effort. This can also greatly improve your technique. Throwing Profile - The throws profile is a concept defining how large the arc of the throw is, as well as the direction that arc extends to. A throw's profile mostly affects hunters. A throw with a large profile or one that has the sling coming too close to the ground is not ideal for hunting because of the likelihood of snags. Cross section - The ideal cross section for sling ammunition is always circular. Misfires - A Misfire is when a stone doesn't release from the slings pouch perfectly (or in some cases, it may catch on the sling cords). Since a slings ammunition rolls out of the pouch, instead of merely flying out of the pouch, shape plays a huge part in accuracy. Even a very small hitch in the stone rolling out perfectly can cause your groupings to open up and misses to occur. This is one of the most subtle difficulties with sling accuracy and usually only becomes more apparent when you begin using flawless ammo along side with slightly imperfect ammo, as well as a technique consistent enough to get rid of other possible problems. Deceleration - Deceleration is the third aspect of a stone's shape that can affect accuracy. With two stones slung at a given distance, one perfectly aerodynamic, the other less so, if they are both slung in precisely the same way, if first one hits and the second may still miss. In fact, if the target is small enough, it almost certainly will miss. Even if your technique was perfect both times. This is caused by the second stone decelerating faster due to a higher wind resistance. This tends to be more dramatic with less dense ammo and/or smaller stones. As well as with longer distance shots. Denser ammo and larger stones, because of their increased momentum, are less affected by small changes in aerodynamics from normal target distances. Political correctness is based on the universally understood yet unspoken rule that you are not allowed to recognize patterns. While this mentions that using a good sling when starting out is important, and also lists various sellers from which to buy them, does the author of that edit have any suggestions as to types of slings one can make on their own that would qualify as "good" or "quality?" I'm interested in all aspects of "slinging" but especially in making slings. It seems sort-of cheap to me to just buy a sling. What would you suggest as far as making slings for a beginner? By "beginner" I don't mean the skill level required to make the sling necessarily, just one that if made correctly will give good results for a beginner "slinger."